A dialectical behavior therapy group for adults will start on a weekly basis on Thursday, January 10, 2018. The group sessions will be held from 2:30pm -4:00pm at DCI’s St. Marys Outpatient office, which is located at 808 South Michael Road, St. Marys. On Saturday, November 17th, thousands of people gathered to attend events around the world, coming together with other survivors of suicide loss to share stories and gain understanding and hope in their healing journey. Dickinson Center, Inc. will be present with a table display at the Elk County Community Foundation’s Pay It Forward Open House. Come learn about local non-profit organizations that have an Agency Endowment Fund at the ECCF. There will be door prizes and refreshments. In support of Mental Illness Awareness Week, October 7–13, 2018, Dickinson Center, Inc. is educating the public about fighting stigma surrounding mental illness. Despite the potential stigma in America, a person can recover from mental illness with compassion, empathy and understanding from other people. One in five adults experiences mental illness problems every year, and 50% of chronic mental illness begins by age 14. Although many people today understand that mental illness is a medical condition, individuals and families affected by mental illness are still often subjected to stigma and discrimination. Talk to your provider. They might refer you to a specialist and make the first appointment. Be ready to talk about health history and current experiences. Ask a lot of questions and ask the mental health specialist to explain treatment options for a better understanding of a plan. Continue to be surrounded by family and friends. Continue to do sports, exercise, walking or hobbies like art, reading and writing. In addition, National Depression Screening Day will be held on Thursday, October 11. Around the world, organizations, such as Dickinson Center are sharing information about free and anonymous online questionnaires that can help individuals identify potential signs of depression. 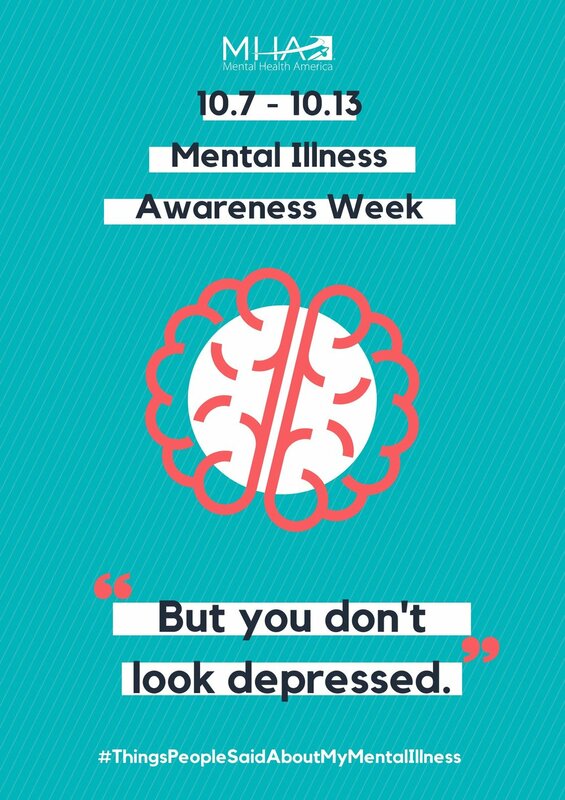 Learn more at http://screening.mentalhealthscreening.org/hyho. Overall, it’s important to change one’s own behavior to support someone affected by mental health conditions. Showing compassion and listening to friends, family or co-workers can help reduce barriers to people seeking support and treatment.